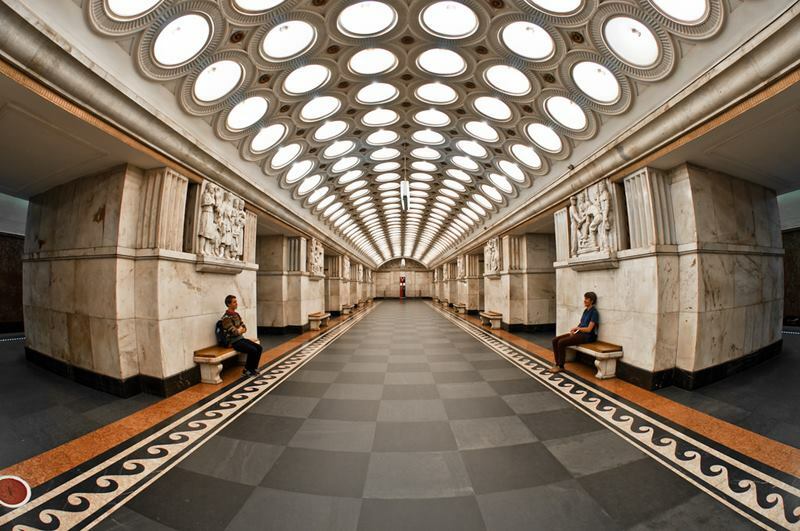 The Moscow Metro, the world first by passenger density, it carried 9.27 million people in 2011. 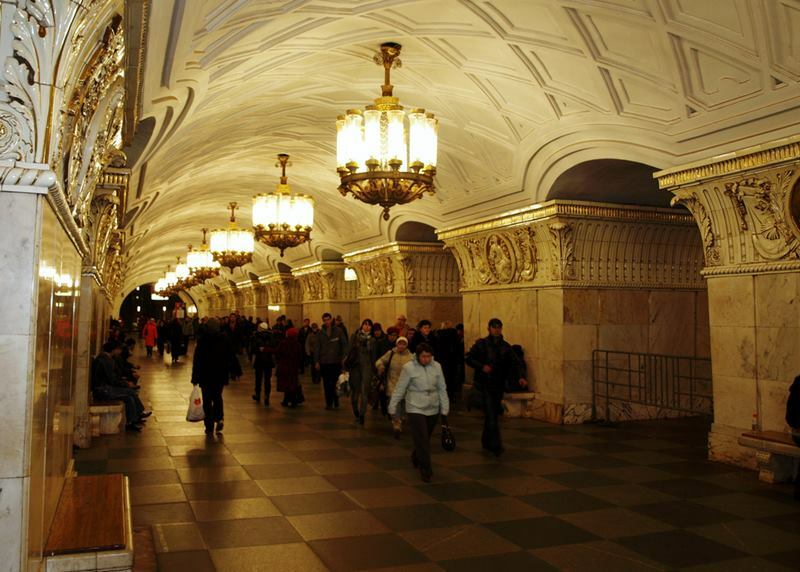 Moscow metro stations also known as the underground palace. 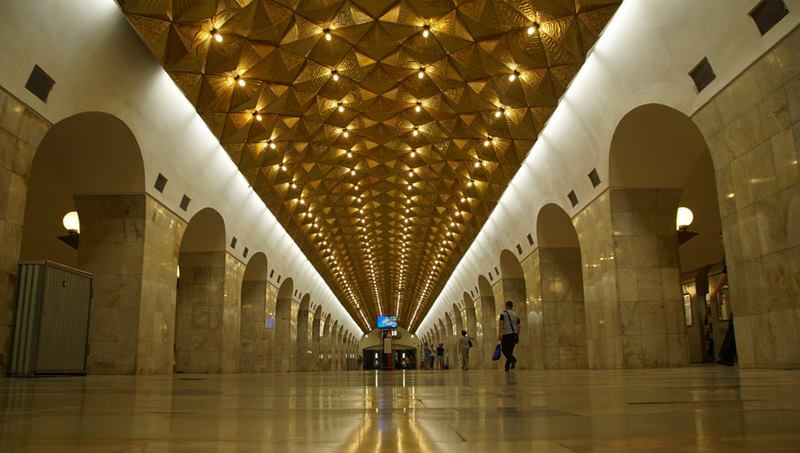 It has has 196 stations and a length of underground laying of 327.5 kilometers, with 12 lines. All lines are connecting with a 20 km long ring line. The line 2, 4 cross the Moskva river and line 1 cross Yauza river on a bridge. 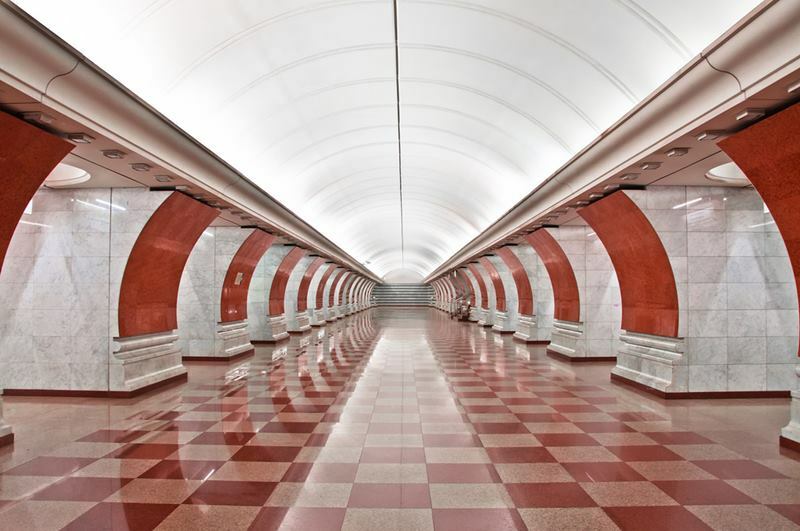 The majority of the network is hidden deep below the streets of Moscow – there are a total of 74 deep level stations, 87 on a more shallow level, a further ten on the surface, and four on elevation. 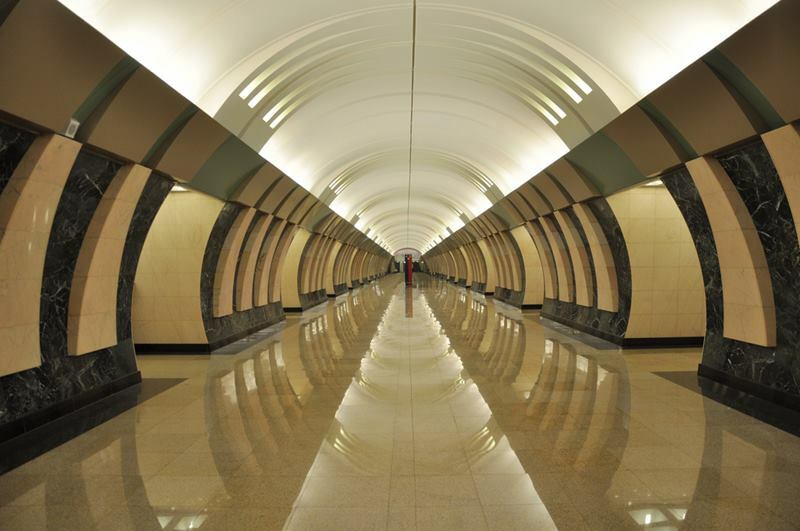 The reasons for the construction of deep section station Arbatskaya lies in the onset of the Cold War . They are deep and are designed to hide people in the event of nuclear war. In a city where winter climate is more rigorous, perfectly understands the importance of the metro. But besides its functionality and number of passengers, the subway is known for its ornamentation. 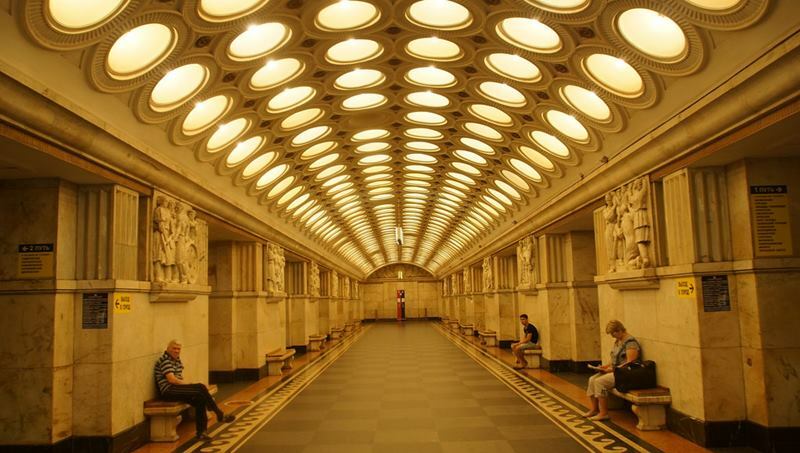 Moscow metro is famous worldwide for the sophisticated decorative aesthetic of many of its stations, a concept related to the idea of Soviets times. 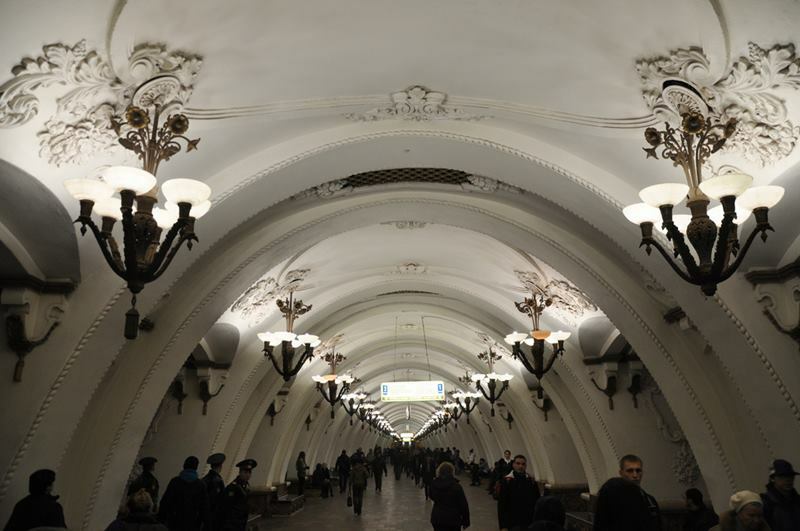 Many of the stations were decorated in an allegorical way to celebrate historical dates, dedicated to celebrating countries of the former Soviet Union, epics of Russian people. 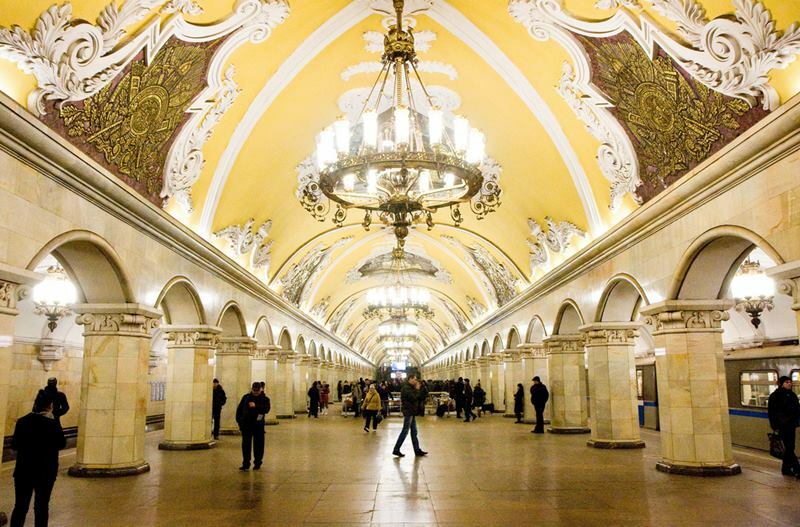 It's possible to spend an entire day or more travelling the metro and exploring the vast array of ornate stations; each constructed and decorated in its own unique way.